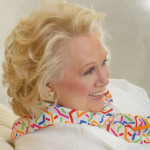 American singer and actress Barbara Cook (b. Atlanta, GA, October 25, 1927) first came to prominence as “Broadway’s leading ingénue” starring in original Broadway musicals Candide (1956) and The Music Man (1958). She performed mostly in theatres until the middle 1970s, when she took up a second career as a solo cabaret and concert singer. Now in her sixth decade as an interpreter of theatre songs and standards, she is universally admired for her warm, engaging timbre, vocal agility, and emotional power. Barbara Cook’s father was a traveling hat salesman, her mother a telephone operator. After her only sister died of whooping cough and her parents divorced, she grew up alone – by her own account, “too close” – with her mother. While a child she sang in community halls, but after high school found employment for three years as a typist. Visiting New York City with her mother in 1948, she decided to stay and try to break into show business. Ultimately, after short engagements at clubs and resorts, in 1950 she was hired at the Blue Angel. 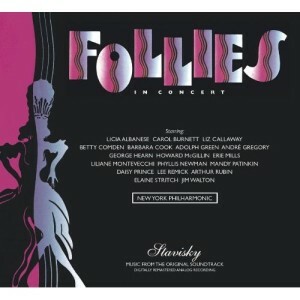 After a Broadway debut in a short-lived musical, Flahooley (1951), Cook made her first television appearance in a play called Mr. Bemiss Takes a Trip on Armstrong Circle Theatre (1952). 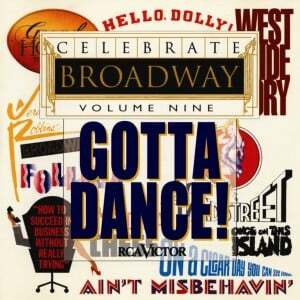 In 1953 she snagged the part of Ado Annie in the City Center revival of Oklahoma!, and toured with the production the next year. She was cast in a soap opera, Golden Windows, in 1954, but the series lasted no more than a few episodes. She also starred in a television production of Victor Herbert’s Babes in Toyland, then returning to the City Center as Carrie Pipperidge in a revival of Carousel. Playing a supporting role in Plain and Fancy in 1955, Cook won a Theatre World Award and began to attract major attention. She won the star part of Cunegonde and sang the spectacular “Glitter and Be Gay” in Leonard Bernstein’s new musical Candide – which, in spite of running for only two months, won the 1957 Tony Award® for Best Musical. In yet another City Center revival of Carousel in 1957, she now sang the lead role, Julie Jordan. A television production starring Cook as Elsie Maynard in The Yeomen of the Guard led to appearances on Alfred Hitchcock Presents (1957), a television production of Hansel and Gretel (1958), The Bell Telephone Hour (1960–1965), The Ed Sullivan Show (1961), The Dinah Shore Chevy Show (1961), Play of the Week (1961), The United States Steel Hour (1962), and The Perry Como Show (1963, 1965). Cook’s most famous roles on Broadway after Cunegonde were her portrayals of Marian the Librarian in The Music Man (“Till There Was You”) – winning the 1958 Tony Award® for Best Featured Actress in a Musical – and of Amalia Balash, singing “Ice Cream” in She Loves Me, winner of the Best Musical Tony® of 1964. Other shows in which she appeared in the ’60s were The Gay Life (1961), Something More! (1964), and the national tours of The Unsinkable Molly Brown (1964) and Funny Girl (1967). Cook led the cast in two more City Center revivals (The King and I 1960, Show Boat 1966) and made a studio recording of The King and I with Theodore Bikel in 1964. She played non-musical roles on Broadway as well, replacing Sandy Dennis in Any Wednesday in 1965 and starring in the short-lived Little Murders in 1967. Another box-office flop, The Grass Harp (1971), was her last appearance in a Broadway musical. By good fortune in 1974 Barbara Cook met accompanist, composer, arranger, and conductor Wally Harper. He persuaded her to collaborate with him on a debut solo concert at Carnegie Hall, which took place on January 26, 1975, and was recorded live. The album, Barbara Cook at Carnegie Hall, was enormously successful and launched a creative partnership and friendship that was to last over the next three decades. They performed together over the years on national and international tours as well as at home in cabaret venues like Michael’s Pub, the Carlyle, and the St. Regis Hotel. They played and sang at the White House for four Presidents: Carter, Reagan, Bush (41), and Clinton. In 1994 Cook contributed her voice to the animated film Thumbelina (music by Barry Manilow), and in the same year she was inducted into the American Theatre Hall of Fame. 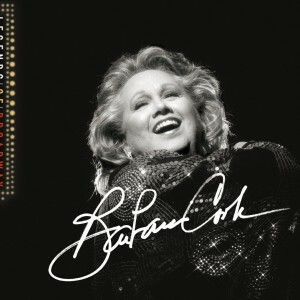 Barbara Cook marked her seventieth birthday with a concert with the Royal Philharmonic Orchestra at the Albert Hall in London. She sang at the fabulous Sydney Opera House in 2000 for the Olympic Arts Festival, and returned again to Carnegie Hall in 2001 with Barbara Cook Sings Mostly Sondheim, recorded live and released on CD. 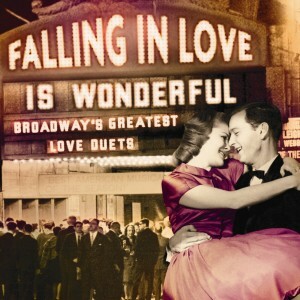 The same concert was repeated in London and at Lincoln Center, earning Olivier Award and Tony Award® nominations, and taken on tour to many American cities. In January 2006, Cook became the first female pop singer to be presented at the Metropolitan Opera in its 123-year history. 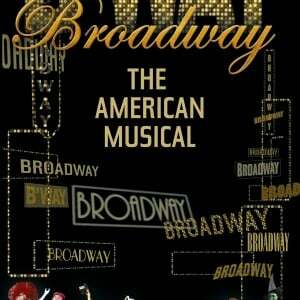 The concert of Broadway show tunes and classic jazz standards, with support on some numbers by guest singers Audra McDonald and Josh Groban, was recorded and released as Barbara Cook at The Met. After several other gala concerts around the country, Cook celebrated her eightieth birthday with two sold-out concerts at Lincoln Center with the New York Philharmonic and another album, No One Is Alone (2007). Cook was married to acting teacher David LeGrant from 1952 until 1965, and has a son, Adam. She has been designated a Living New York Landmark. 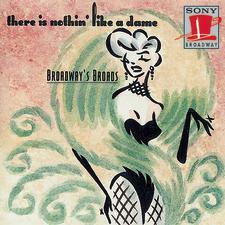 Among her thirty-six recordings, besides her eight original cast albums and others aforementioned, are two albums of songs by Jerome Kern and George Gershwin; Songs of Perfect Propriety (1958) featuring poems by Dorothy Parker with music by Seymour Barab; As Of Today (1977); The Disney Album (1988); Close as Pages in a Book (1993) featuring the lyrics of Dorothy Fields; Barbara Cook: Live from London (1994); Oscar® Winners: The Lyrics of Oscar Hammerstein II (1997); All I Ask of You (1999); The Champion Season: A Salute to Gower Champion (1999); the Grammy®-nominated Count Your Blessings (2003); and Barbara Cook’s Broadway! (2004). 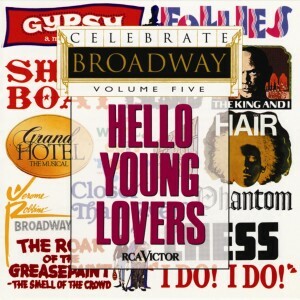 Barbara Cook told interviewer Alex Witchel in April 2005, “I’m the slowest bloomer, the latest bloomer ever. I think . . . I’ll sing better five years from now, because I expect I’ll have more courage to be even more open. Because I believe that’s the kind of road I’m on. I consider myself a work in progress. This is not the done deal.” Now that those five years are past, she is gloriously fulfilling that prediction with her Tony®-nominated performance in Sondheim on Sondheim.